Houston Commercial Vehicle Accident Attorney - The Gerardo Cantu Law Firm, P.C. 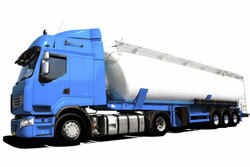 Have you been injured in a delivery truck accident or another commercial vehicle truck accident? Did you suffer serious, life-altering injuries? Our truck accident lawyer has more than 12 years of experience representing clients in serious personal injury and wrongful death claims. Contact us today to begin your representation. You pay nothing unless we win your case. At the personal injury law firm of The Gerardo Cantu Law Firm, P.C. in Houston, Texas, we handle all commercial vehicle accident cases on a contingency basis. When a commercial vehicle — such as a semi or delivery truck — is involved in an accident, the injuries are usually severe. Sometimes they are fatal. The sheer size of the truck makes brain injuries and spinal cord damage likely. Our law firm is equipped to handle these serious accident cases. We also handle wrongful death cases for families who have lost a loved one. Whether your accident was caused by truck driver error, truck company negligence or another reason, we will stand by your side to get the financial damages you deserve. Our approach to recovering maximum compensation is simple: preparation. We prepare all personal injury cases for a big fight in court. Insurance companies recognize this and often choose to offer a fair settlement rather than face us in trial. Contact a Houston commercial vehicle accident attorney for a free consultation by calling us or sending us an e-mail. Get in touch with us today to discuss your commercial vehicle accident with an experienced attorney.